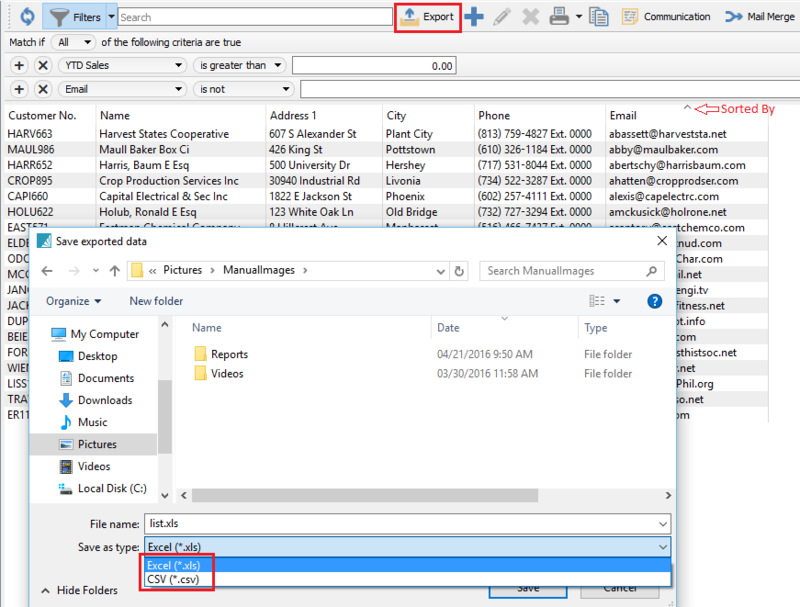 This feature gives the user the ability to combine filters and searches along with column layouts and export them. This means that Spire users can create a custom reporting system that each user can design themselves. Once the list has been filtered as required, click on the “Export” button and then choose Excel or .csv. The user will be asked if they want to open the file for viewing or editing. Click open and note that the speadsheet maintains the list layout and sort order that was selected in Spire. It also locks the top row for easy scrolling through large lists.